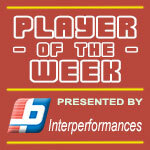 31-year old power forward Wayne Chism (206-PF-87) had a great game in the last round for league's best team Al-Manama and receives a Interperformances Player of the Week award for round 14. He had a double-double of 27 points and 25 rebounds, while his team beat Al-Riffa (#3, 9-3) 82-69. The game was between two of the league's top four teams. It allowed Al-Manama to consolidate first place in the Bahrain league. They maintain a perfect record without any lost game in the league. It's already very far into the season and Al-Manama keeps a perfect 12-0 record. Chism turned to be Al-Manama's top player in his first season with the team. University of Tennessee graduate has very impressive stats this year. Chism is in league's top in rebounds (8th best: 11.8rpg) and averages solid 57.8% FGP. 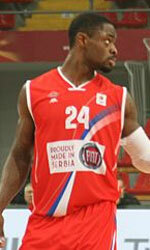 Second best performed player last round was Kevin Rogers (206-PF-86) of Al-Najma. He is American forward in his first season at Al-Najma. 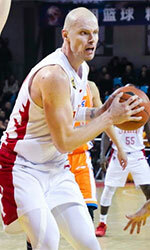 In the last game Rogers recorded impressive double-double of 33 points and 17 rebounds. Of course he led Al-Najma to another comfortable win 99-84 over slightly lower-ranked Al-Ittihad (#7, 5-7) being unquestionably team leader. Al-Najma's 5th position in the standings has not changed. His team lost some distance to top teams. But 6-6 record is not bad and everything may still change. Rogers is a newcomer at Al-Najma and quickly became one of team's most reliable players. He belongs to the best scorers in the league with 23.8ppg (#6). He also registered 12.2 boards per game. Third place about best performers goes to center Mile Ilic (215-C-84) of Al-Ittihad (#7). Ilic got into 30-points club by scoring 33 points in the last round. He went also for sixteen rebounds . Despite Ilic's great performance Al-Ittihad lost 84-99 to slightly higher-ranked Al-Najma (#5, 6-6). But his team cannot count on just a single shooter as he also needs help of the other teammates. The chances of Al-Ittihad ranking at the top of the league, however are very questionable as they have already lost 7 games, recording just five victories. With bigger assistance of his teammates, Ilic could help Al-Ittihad to bring them higher in the standings. Ilic has a great season in Bahrain. After 11 games, he made it on the list of the league's leaders in points with 24.1ppg (5th best) and rebounds with 19.5rpg (#1 in league). He also has 2.1bpg and FGP: 58.2%.